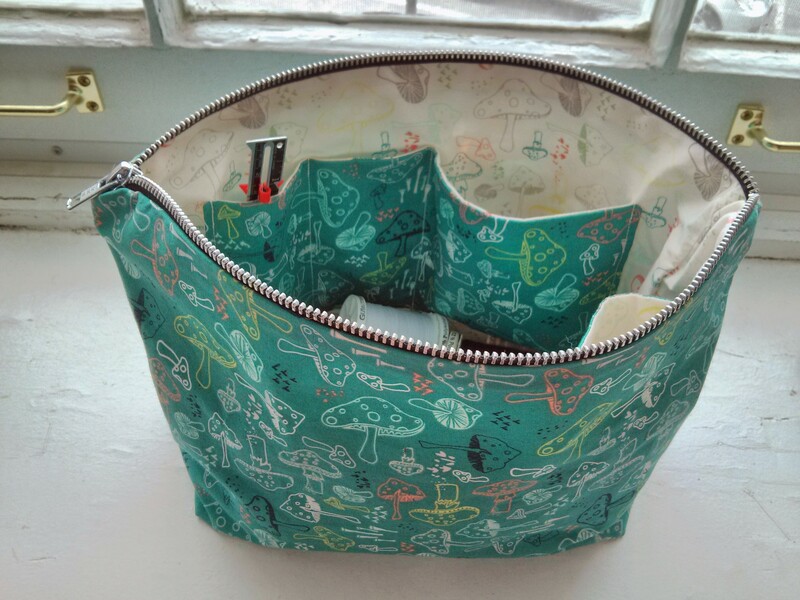 I based the sizing on Noodlehead’s largest Open Wide pouch, but the zipper is actually enclosed like this. I was worried the smaller bits and bobbins might fall out, and I have a serious fear that Scout might get ahold of and ingest sewing thread. I skipped the topstitching around the pouch top, partly because a good pressing did the trick, and partly because lazy. 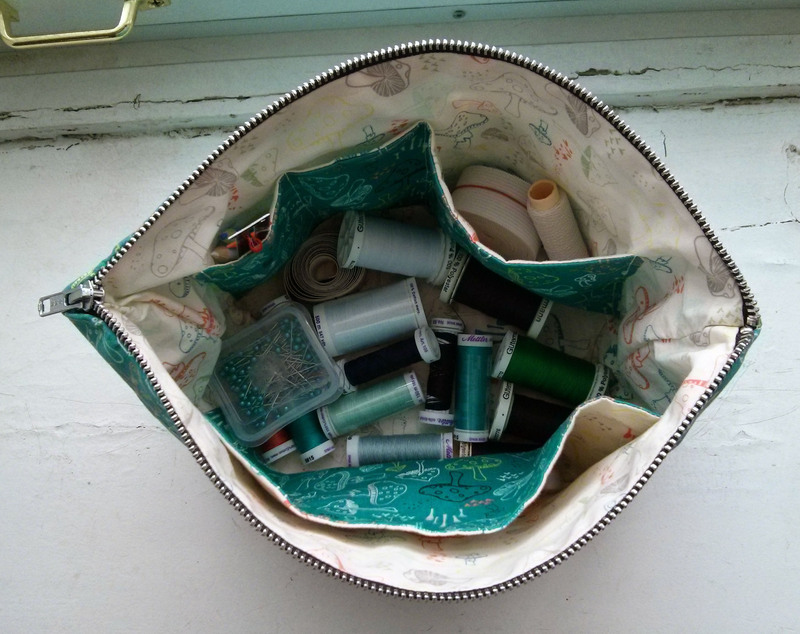 I also added patch pockets to either side of the lining, and divided one of the pockets into three smaller pockets. A place for everything! 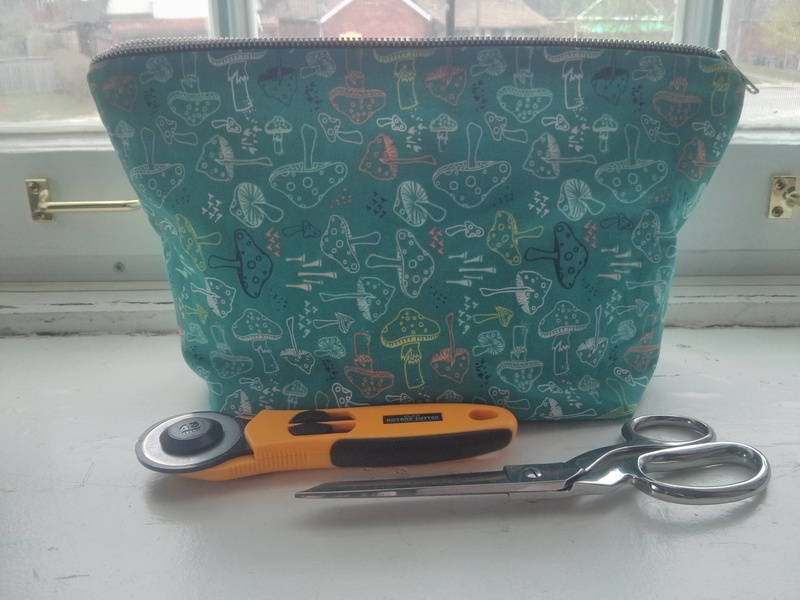 I used every millimetre of two fat quarters, plus half a metre of interfacing, and managed to eke out the largest pouch possible and both pockets. 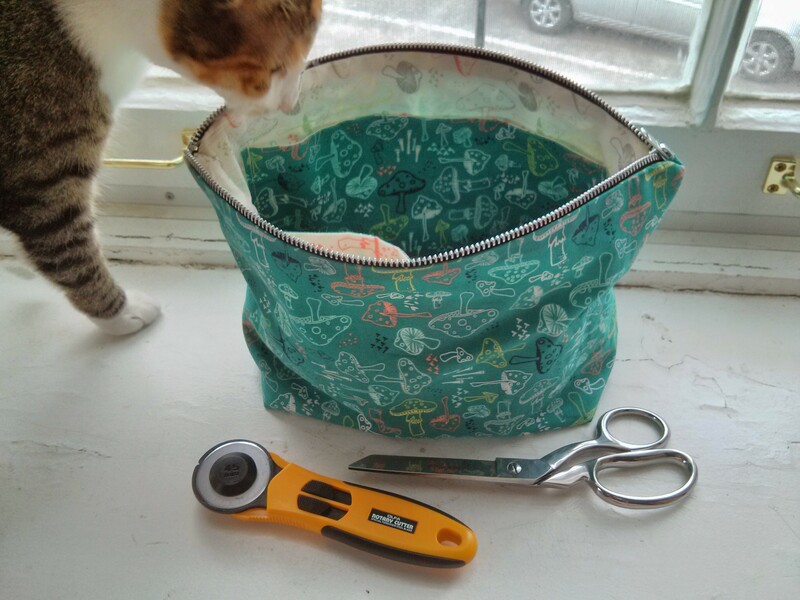 The photo above shows my rotary cutter and 8″ shears for scale — big pouch! This was my first time sewing with Art Gallery quilting cotton, and it did not disappoint. I used Microtex needles and was super pleased with the finer result they gave. The microbiology nerd in me can’t help but pick at the name of these fabrics, though — those are NOT morels printed on there! They’re mushrooms, yo! Seriously pretty, had-to-have-’em mushrooms. This is so cute! 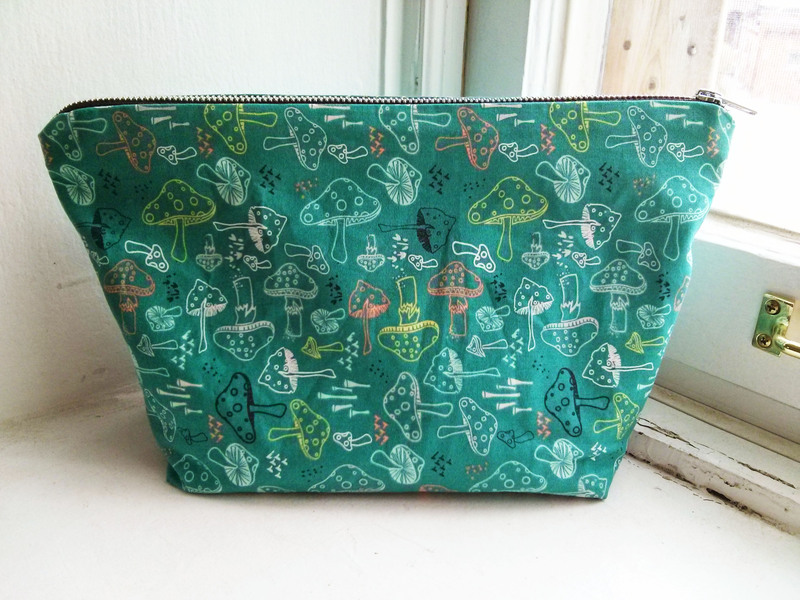 I’ve just convinced myself I need a new washbag, and have some oddments of bunny fabric that would be perfect!